Oscar de la Renta jeweled flower ring. Golden pewter hardware, band and settings. Armenta ring from the Old World Collection. 18-karat gold and blackened sterling silver. 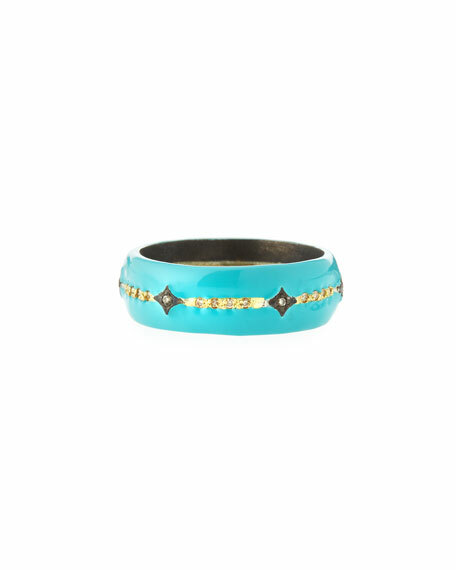 Wide silhouette with turquoise-hued enamel. C2-C4 champagne diamond crivelli. 0.12 total diamond carat weight. Made in USA of Italian material. Armenta ring from the Old World Collection. 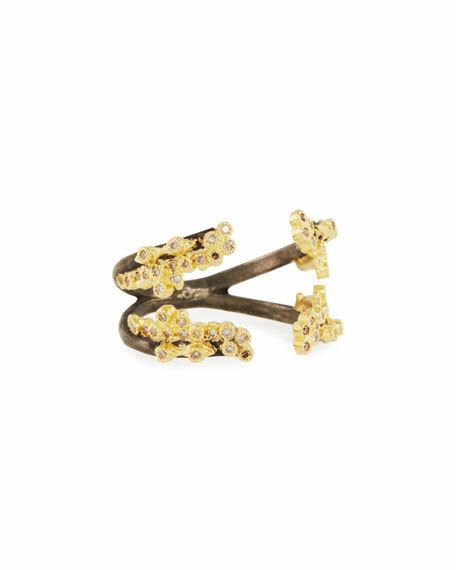 18-karat yellow gold and black sterling silver. 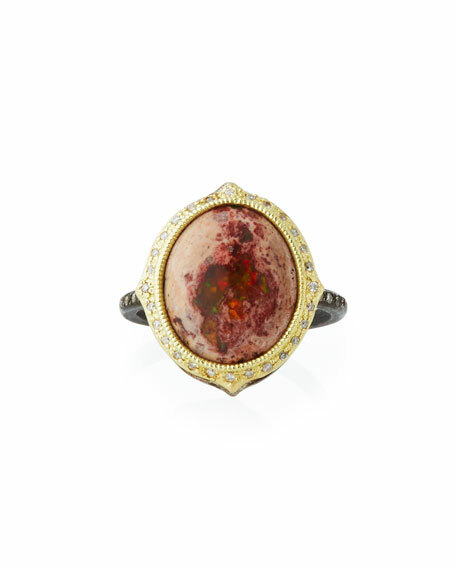 Bezel-set small Mexican fire opal cabochon, 11x14mm. White and champagne diamonds at trim. 0.15 total diamond carat weight. Approx. 0.4"H; 0.6"W. Made in USA. 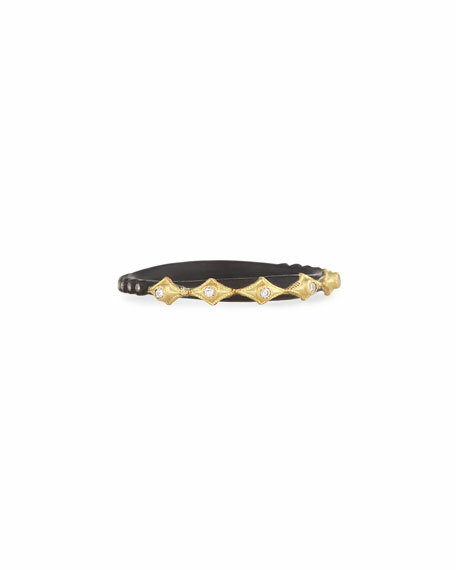 Armenta Old World multi-crivelli stack ring in signature midnight sterling silver and 18-karat yellow gold. Detailed with white and champagne diamonds, 0.18 total carat weight. Stackable design (each ring sold separately). Made in USA.